NEXT | Happy birthday, Wrath of the Lich King and Warlords of Draenor! Is there such a thing as going too far in the pursuit of science? Most would say yes, there is a moral line that shouldn’t be crossed. For Moira O’Deorain, that line simply doesn’t exist. Overwatch’s newest hero isn’t out to protect the world, nor is she out to conquer it. Instead, she’d just like to take it apart and see what makes it tick, by any means necessary — however questionable those means may be. Moira first caught the attention of the scientific community and the rest of the world when she published a paper on genetic programs. In her paper, she explored a methodology of creating said programs and designing them to alter DNA at a cellular level. At first glance, it was a promising idea. Diseases and disorders could be cured, and the overall potential of humanity could be maximized. But this also led to discussion and outright dissent among the scientific community as well. And who could blame them? Technology on this level could, yes, be used to improve humanity in theory. But it could just as easily be used to harm. And Moira’s work appeared to have several ethical shortfalls that suggested her work was outright dangerous. At best, it displayed an unchecked desire for scientific advancement…the same kind that some believed actually caused the Omnic Crisis to begin with. On top of all of that, the results detailed in her research were unable to be duplicated by other geneticists. Not only did this bring her discoveries into sharp question, it also highlighted the idea that perhaps Moira herself was utilizing unorthodox — or unethical — methods to obtain those results. The paper — which was intended to kickstart her reputation — ended up damaging it instead. Even Overwatch condemned her research, and it appeared that instead of triumph, Moira was on a quick road to ruin. But she received a helping hand and a lifeline from the most unlikely of sources. The very same organization that condemned her research also reached out to take advantage of it…sort of. Moira was contacted by Blackwatch, Overwatch’s covert ops division, and asked to develop new weapons and technology for the organization. Unlike Overwatch and its squeaky-clean reputation, Blackwatch was out of the public eye — and out of all public scrutiny as well. While Overwatch was free to publicly condemn her research, Blackwatch could quietly take advantage of it. Gabriel Reyes’ peculiar abilities as Reaper have long been in question. The cellular-level oddities that allow his cells to regenerate and decay at a hyper-accelerated rate were a mystery, up until Moira’s introduction. Some speculated it was part of the super-soldier program both he and Jack Morrison belonged to, prior to the original formation of Overwatch. There were some that thought perhaps Mercy had a hand in it, considering her role as head of medical research with the team. But it wasn’t Mercy at all — it was Moira, working behind the scenes. Her work gave Reyes the abilities he uses today — and may very well have saved his life in the explosion at Overwatch’s Swiss headquarters. He was presumed dead at the time, but he lived — and it was likely all due to Moira’s experiments. Although her employment was kept secret, it was eventually uncovered during inquires surrounding an incident in Venice. Many of Overwatch’s high-ranking officials disavowed all knowledge of her affiliation with the organization. But it didn’t really matter, in the end. Overwatch was disbanded, and Moira was once again on her own. Left to her own devices, Moira was forced to find her own unconventional sources of funding. Luckily, the scientific collective that founded the city of Oasis reached out to her, asking her to take the role of Minister of Genetics. Oasis was intended to be a testament to the ingenuity of humanity. The eight leading scientists that founded the city were looking for a way to push the boundaries of what modern science could do. In other words, it was right up Moira’s alley — aside from the pesky regulations Oasis also adopted in conjunction with the pushing of boundaries. But rumors continued to swirl around Moira and her experiments. There were those who claimed Talon had been secretly supporting her for years — and they were right. To successfully continue her research, Moira needed cash, and that required patrons. Talon was a most agreeable patron, though it came in exchange for the products of her research. Eventually, Moira claimed a seat on Talon’s inner council — where she still sits today. 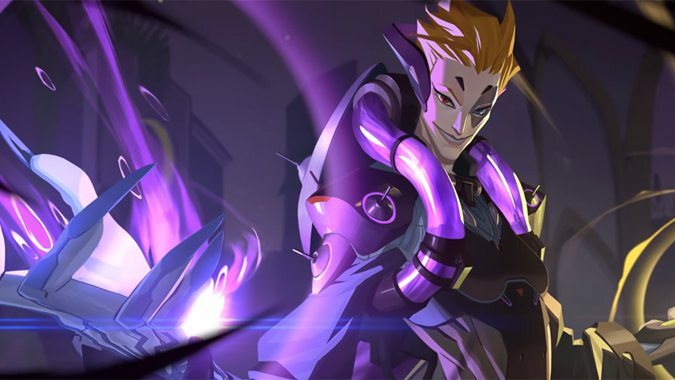 Despite her position in Talon, Moira isn’t really evil — at least not in the sense that Talon is often perceived. She has no apparent motivation towards conquering the world, nor does she want to see anyone wiped out. 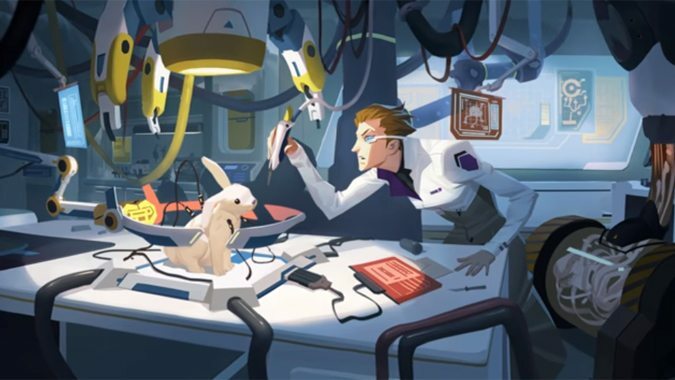 Moira isn’t really interested in the practical applications from her discoveries, although she appears to be willing enough to hand over her research to Talon and let them do what they will with it. It’s not about what comes of her research, to Moira. It’s about the research itself — about understanding how things work, and making them work better. And she will utilize any method she can find in pursuit of that purpose…whether morally objectionable or not. 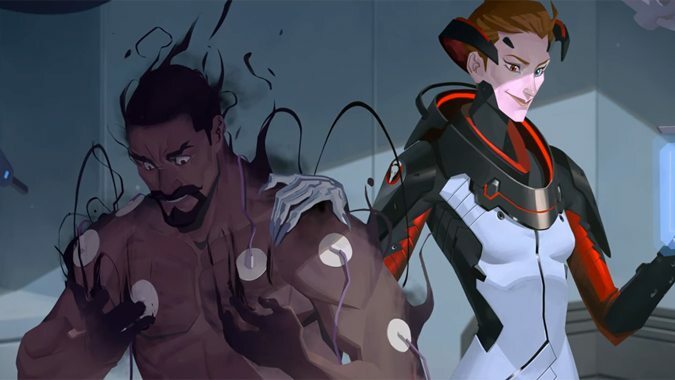 But there’s another layer beneath Moira’s fascinating origins and her continued involvement with Talon. In her story, we get even more of a glimpse into Blackwatch. 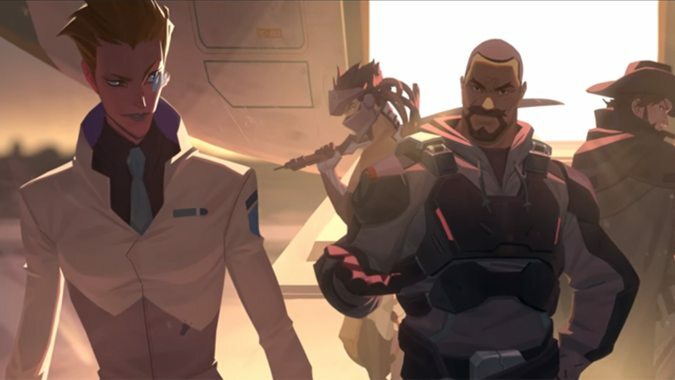 The experiments on Reyes aside, Moira’s initial invitation to join Blackwatch is a little eyebrow-raising. Reyes reached out to her, despite Overwatch’s open condemnation of her research and her methods. And nobody in Overwatch thought to say anything about it — or they simply didn’t know. It’s unlikely, however, that it’s a case of the latter. Not for Jack Morrison, who was not only the head of Overwatch, but also a close associate of Reyes before Overwatch was ever created. But there are a few bigger questions here we should be asking. Who was behind the initial formation of Blackwatch? How did it get approved? Was it Reyes, seeking some way to have that leadership role he thought he deserved? Was it Morrison, perhaps feeling guilty that he’d taken the leadership role that by all appearances should have been given to Reyes? It’s obvious that Overwatch agents were well aware the organization existed — or if not the organization, at least its members. Genji, McCree, and Reyes were all known by the rest of the heroes we’ve seen revealed for Overwatch so far. It doesn’t appear that there was any kind of attempt to hide their existence, at least not internally. Was the world right to call for Overwatch’s disbandment? On the one hand, you have a global organization touting peacekeeping, exploration, innovation, and discovery. 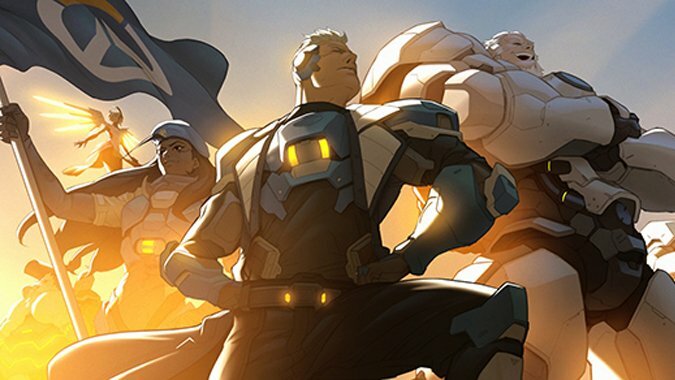 Overwatch saw a bright future for the world, and represented the best of humanity. It was a beacon of hope, its heroes were the type of people children were encouraged to look up to. On the other hand…the very existence of Blackwatch brings all that into sharp question. A covert-ops division willing to do whatever it took, deliberately kept out of the public eye? And why were Reyes and Morrison at odds? Why did Blackwatch apparently want to take Overwatch down from the inside? McCree left due to the infighting, wanting no part in it all — so it obviously wasn’t a sentiment shared by everyone in Blackwatch at the time. Was it just Reyes? For now, Overwatch’s story seems to be fixed on the present day, with Doomfist’s arrival and Talon’s continuing efforts to achieve…whatever it is they’re really after. But it feels like these mysteries from the past would help shed some light on what’s going on right now and offer that one thing Moira is so intrigued with — understanding. Whether or not we’ll see these tales told remains to be seen. 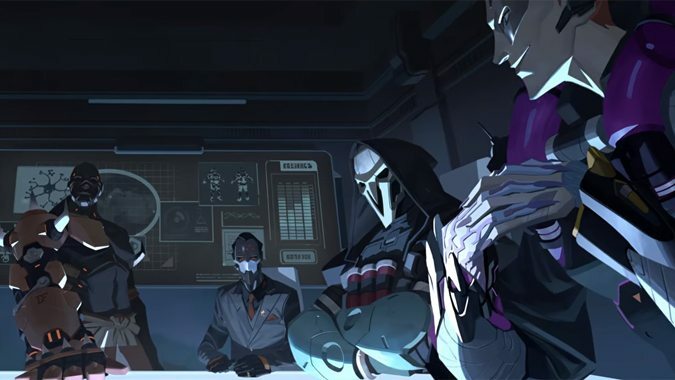 However, Moira’s addition to Talon’s upper ranks is a fascinating addition to stories both old and new.